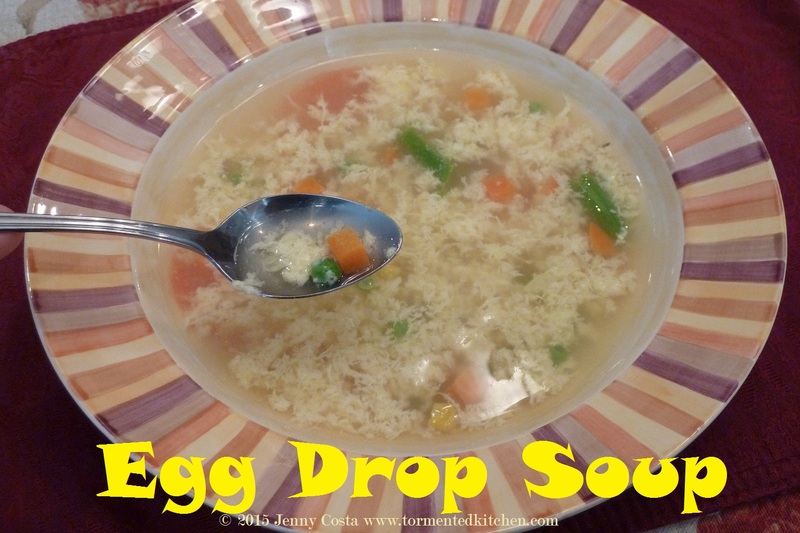 I'm going to share one of the easiest recipes I have. It's not even really hard enough to be called a recipe by my standards. Don't be fooled though. Simple food can still taste amazing. Check out this "recipe" for egg drop soup. There are even a few places that add chopped evil mushrooms...so no soup for me at those places. (Frowny Jenny). Darn food allergies! As for the cornstarch, you can add more if you want it thicker, or leave it out completely. The soup is great either way. Cornstarch is gluten-free if that is a concern for you. 1. Reserve 1/2 cup of the broth. Mix with the cornstarch. Set aside for later. 2. Combine the remaining broth and frozen vegetable in a saucepan. Bring up to a boil, Simmer until the vegetable are tender. 3. 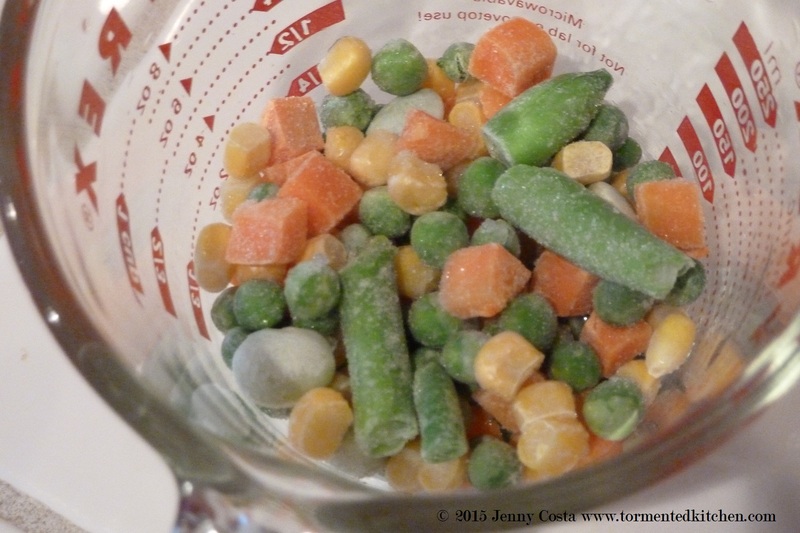 Add the cornstarch slurry to the pot and mix well. 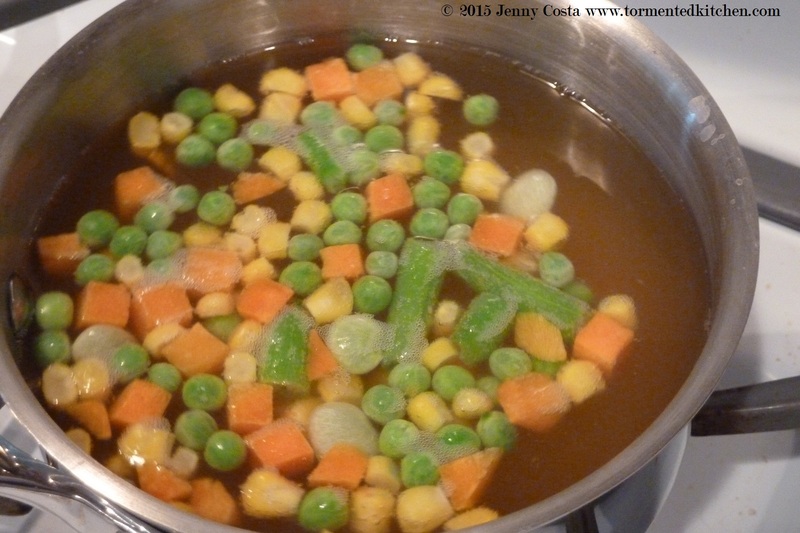 Continue simmering until the soup has thickened slightly. 4. 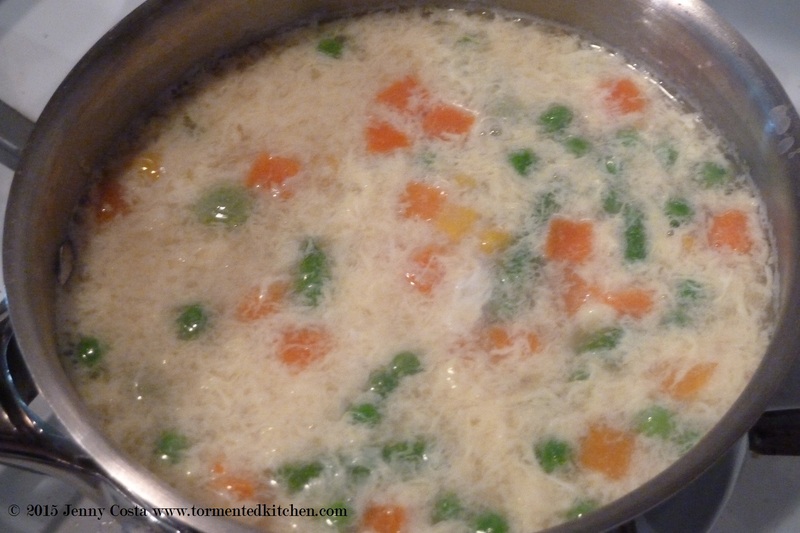 Stir the soup and slowly pour in the beaten eggs. Continue stirring until the eggs have set. You will get smaller strands of egg if you stir fast and larger pieces of egg if you stir slowly. 5. Serve! You have enough for 4-6 servings.